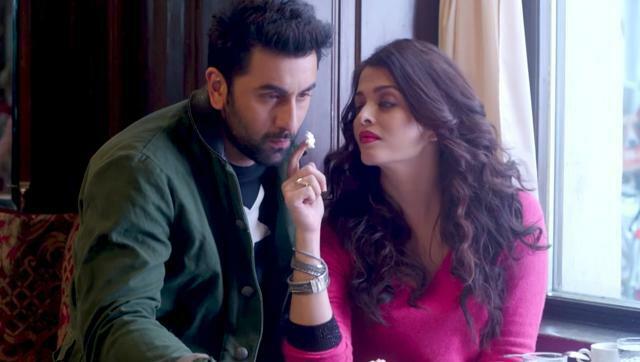 Ae Dil Hai Mushkil 3rd Day Collection ADHM 1st Weekend Box Office Report : Ae Dil Hai Mushkil movie today faced the most difficult situation when it comes against Shivaay. The clash of two movies had destroyed every hope of breaking Shah Rukh Khan’s record of 44.97 crore rupees domestic (net) as one-day earnings in Bollywood. The Diwali was a big day for ADHM collection as it was expected to set a new record at the box office. The movie failed to get it name included in the top opening day collections, and there was some hope from ADHM collection to get into the highest list. The primary reason which had affected this downfall was clash release with Shivaay. The clashing of both the films had not only affected the earnings of each other but also decreased the overall potential during the Diwali season. Ae Dil Hai Muskhil collection came to 26 crore rupees for first 2 days. On the third day, some positive hopes were seen, but everything remains low on the mark. Moreover, Ae Dil Hai Mushkil box office collection from the overseas market is also down from the mark because of no actual big name association. Happy New Year had set up some benchmarks which are not easily beatable by any of the Bollywood movies and it seems happening right now. Despite having the holiday of Deepavali in most of the countries, it doesn’t seem that any hope can break 44 crores in a single day. However, the movie seems to be making 40 crores as a weekend collection which is good for a film with 3 names having consecutive failures in Bollywood. Karan Johar, Ranbir Kapoor, and Aishwarya Rai Bachchan hadn’t seen any success with their films since past year. It was expected that all of them could set a comeback with the release of ADHM, and it does happen to some extent. The controversy between some political parties and Karan Johar regarding roles of Fawad Khan had actually benefited the film. The movie didn’t get any amount of good publicity initially, but with the time, it went popular all around the social media. On the first day, opening occupancy of 48% was observed in theaters which were a great number considering the number of viewers and fans of superstars. The film did solid business in multiplexes as many theaters even run the multiple shows of the same film at the same timing. The demand was very great, and it totaled to a fantastic business with many houseful shows in the metropolitan cities. The crowd of dhanteras had somehow benefited the shows. The second day was strong for ADHM collection, but it faced a big downfall from various factors. Many theaters can’t run some shows because of low demand, mainly this type of behavior was observed in single screens. The film continues to stay strong on the multiplexes. A good crowd was seen during the night shows which had saved the sinking ship. Overall 35% occupancy was observed during the whole day, giving Ae Dil Ha Mushkil collections on second day somewhat similar to of the first day. Ae Dil Hai Mushkil third day collection was very important to be noticed as its telling us the actual failure or success of the movie. First of all, it’s important to notice that ADHM was released on Holiday season and hence many viewers had already watched the film. But since, today was Diwali holiday; the crowd was definitely higher in many cinemas. Multiplexes had a nerve of doing some really great business during the special days of public holidays. As its 3rd day response, ADHM opening occupancy was around 30% in most of the cinemas which increased to 32% in the evening. Some websites like PayTM and Bookmyshow had decreased the ticket prices, and because of that, a big increase in movie ticket booking was observed for ADHM specifically. Overall various factors had helped it to take a big rise and it goes to around 15% more than the previous days in term of occupancy.